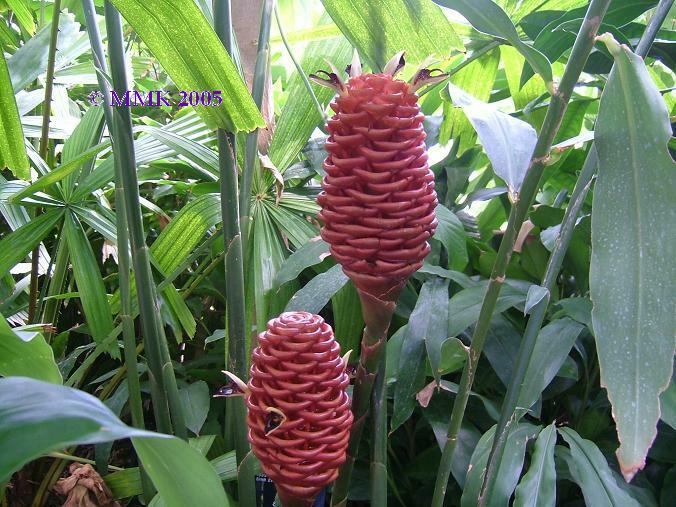 Ginger is a knotted, thick, beige underground stem (rhizome). The stem extends roughly 30 to 50 cm above ground with long, narrow, ribbed, green leaves, and white, yellowish-green or red flowers. Ginger root is an effective treatment for nausea caused by motion sickness and also contains many antioxidants. Powdered dried ginger root is made into capsules for medicinal use. Chinese women traditionally eat ginger root during pregnancy to combat morning sickness. Ideal conditions are warm, sunny and humid. 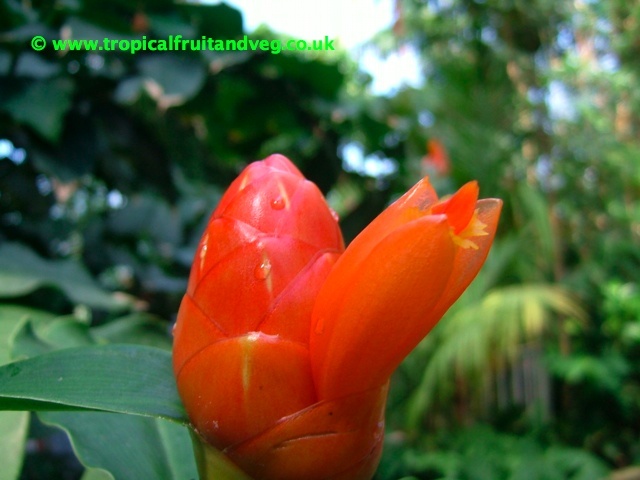 Most gingers are warm climate plants and like a well drained soil enriched with compost with a monthly liquid feed during spring and summer.